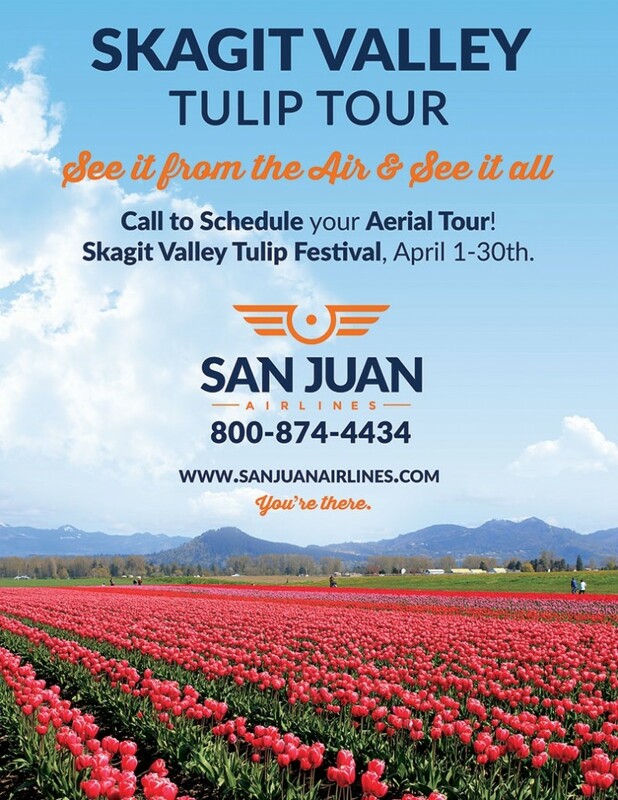 Looking for a convenient way to attend the Skagit Valley Tulip Festival? Have you thought about looking into tulip festival tours? Here we have consolidated a list of tulip festival tours with links to the websites for the most up-to-date tour information. Don’t see a tulip festival tour on the list that you have heard about? Contact us, and we will be sure to add it! 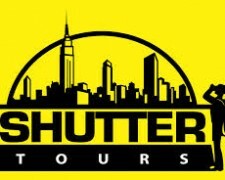 Interested in other tours? Check out our Skagit Tours page for more information on bike tours, beer tours, whale watching tours, Deception Pass tours, Kayaking tours, Fishing/Crabbing charters and more! In the fertile lands of Skagit Valley, our tulip growers have worked hard all year to stun the world in early Spring with the most colorful displays of reds, oranges, yellows, whites, pinks and purples you’ve ever seen! During this Guided Adventure, we’ll visit the exquisitely arranged tulip gardens at RoozenGaarde and Tulip Town, both of which also have extensive and multicolored tulip fields. Plan on photographing tulips to your heart’s content! Food is available at these venues, at several nearby restaurants and delis, or enjoy a delicious salmon barbeque. Stephanie will also drive you around the back farm roads to the blooming fields so you can take more pictures of the stunning color displays from the millions of tulips. Look up, you might catch the majestic Mt Baker spying down on you or swans and geese flying overhead. Join Roads2 Travel Company to experience the Annual Skagit Valley Tulip Festival in La Conner, Washington, USA. Tour the breathtaking colors and beauty of the tulip fields, migrating geese and display gardens at the RoozenGaarde Bulb Company or Tulip Town. In addition to the tulips, enjoy a ‘hosted’ lunch at the popular Seeds Bistro, tour the Skagit Valley Historical Museum & explore (with discount shopping coupons) a favorite Pacific Northwest getaway, the charming, quaint town of LaConner. Arrive by car to LaConner, WA with free-reserved parking … Arrive by Amtrak from the Seattle & Vancouver, BC areas for pickup at the Mount Vernon, WA, train station. Arrive by boat for pickup at the La Conner Marina. An end-of-adventure stop for train adventurers is the Swinomish Casino before the Amtrak returns back to Seattle & Vancouver, BC from Mount Vernon. Each spring the flats of Skagit Valley are alive with the vibrant, multi-colored tapestry of tulips and daffodils. There is really nothing to compare to the sight of (seemingly) endless fields of tulips under the wonderful skies of Skagit County during the Skagit Valley Tulip Festival. 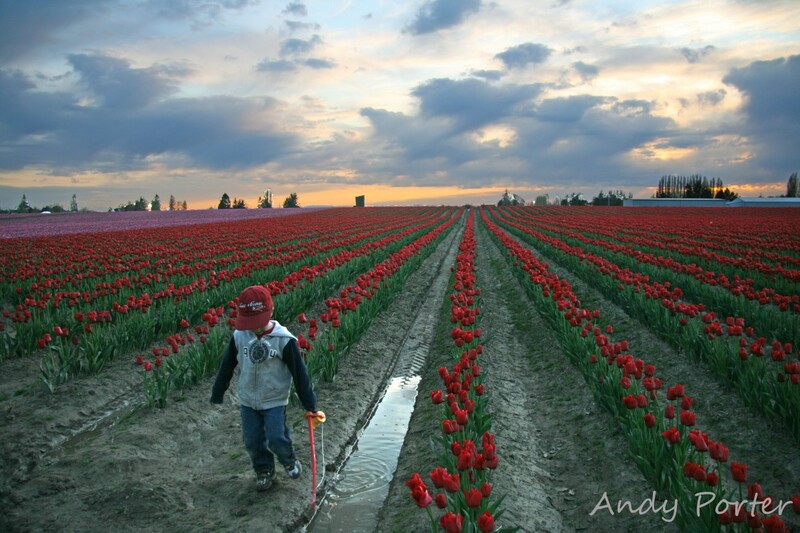 Check out Andy Porter’s Tulip Festival Gallery and join Andy for the tulip festival photography tours! Cheryl has 7 years experience guiding tours. Noticing a lack of regional tours and very little emphasis on the local history along with the exceptional natural beauty, she decided it was time to share and Cheryl’s Northwest Tours was born. A native Washingtonian, Cheryl fully embraces the Northwest. It is obvious in the company’s creative regional tours that everyone on the team shares her enthusiasm for Northwest history and local heritage. You’ll notice the difference in their tours as you get a true inside look at the Pacific Northwest. Cheryl’s Northwest Tours offers Skagit Valley Tulip Festival tours every year. Check out her website for the latest tour information. Their tulip festival tours are usually every Saturday in April featuring the highlights of the festival. Recreation Without Borders (RWB) was started in late 2009 by Lauren and John Woodmansee after seeing the need for affordable recreation opportunities in Northwest Washington. RWB is an adventure-based business offering one-day trips up to week-long tours. A wide variety of programs are available throughout the year. Groups are kept small for a more enjoyable and enriching experience. Incorporating over 50 years of Parks and Recreation experience, as well as a personal passion for travel, athletics and education, we offer something unique, fun, affordable and safe for everyone. For those of you coming from the Seattle area, they offer a downtown hotel pickup for free. They also offer pickups at local Park and Rides for those of you who live in the Seattle area. If you would like to take the train from downtown Seattle, they offer a pickup option at the Stanwood train station. Our tour begins in our comfortable 14 passenger mini coach in the small Scandinavian town of Stanwood, Washington. 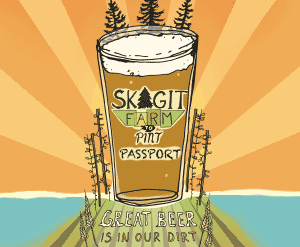 We journey through scenic farmlands and across the Skagit River with Mount Baker as a backdrop. Our first destination will be the tulip fields in Mt. Vernon Washington. Here we will spend time at pre-selected vantage points to help you get the best photo based on the current light and colors of the tulip and daffodil fields. We then visit the beautiful flower gardens at Roozen Gaarde, owned by the Roozen family – bulb growers in Holland and the United States since the early 1700s. Growing in their display Garden you will have the opportunity to photograph 90+ tulip varieties in addition to many more varieties of daffodils, hyacinths, crocus, iris, & specialty flowers. Planted just behind the garden is a 15-acre tulip field filled with seemingly endless rows of color. Don’t forget to pick up their free catalog where you can buy over 140 varieties of bulbs. 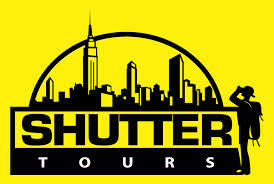 Shutter Tours includes the admission fee to this garden as part of your tour price. Avoiding the large, mid-day crowds at the gardens we then set out to historic waterfront village of La Conner, Washington. This picturesque town was voted both the “Most Romantic Getaway” and “The best town to capture the Northwest spirit”. Here you will have time to shop at many of the interesting stores including a glass blowing studio, The Woodworking Merchant, and enjoy a meal at one of the many award wining restaurants. Tulip Town is a perfect place to stop after lunch with a wonderful indoor display, art gallery and and multi colored fields that explode with colors. The fields planted here have alternating colors about every ten rows to make your afternoon one you will not forget. Of course a tulip tour is not complete until one has tasted the wine at Tulip Valley Winery. With a nice art gallery and wonderful wines to taste, this stop is sure to be a favorite. Working our way back through the tulip fields, our last stop is Snowgoose Produce, famous for their “Immodest Ice Cream Cones” along with jams, produce and flowers. Along the way we might have the opportunity to stop and see the Snow Geese as they make their way back towards Canada for the summer. This is a sight in itself and we’ll be sure to scout ahead of time to see where the geese might be. Soar over the Skagit Valley in a helicopter on our Tulip Tour and enjoy beautiful views of over 300 acres of Tulips in bloom. Avoid the crowds this festival season and see the Tulips from a bird’s eye view. Tulip Festival Tours depart from the Farmhouse Inn and from a waterfront dock in La Conner. 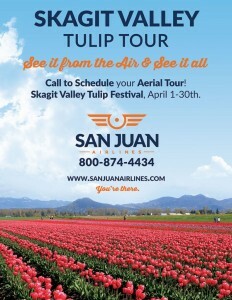 San Juan Airlines – Tulip Festival Tour From the Air! Because the festival is designed as a driving tour for the visitor as there is no one “site” that you go to for your visit, an aerial tour is a perfect way to see all the fields with none of the traffic. The farmers of Skagit Valley raise tulips as an agricultural crop and the hundreds of acres of blooming flowers are scattered throughout the Skagit Valley. For more tours happening during the Tulip Festival, check out the Tulip Festival brochure.